Our machines tailor-made for your production. The installation is quick and easy: plug & play. Our equipment has been reduced to a minimum size and weight to save you space and ensure you maximum comfort. With Roctool, you have the choice of a wide range of equipment. 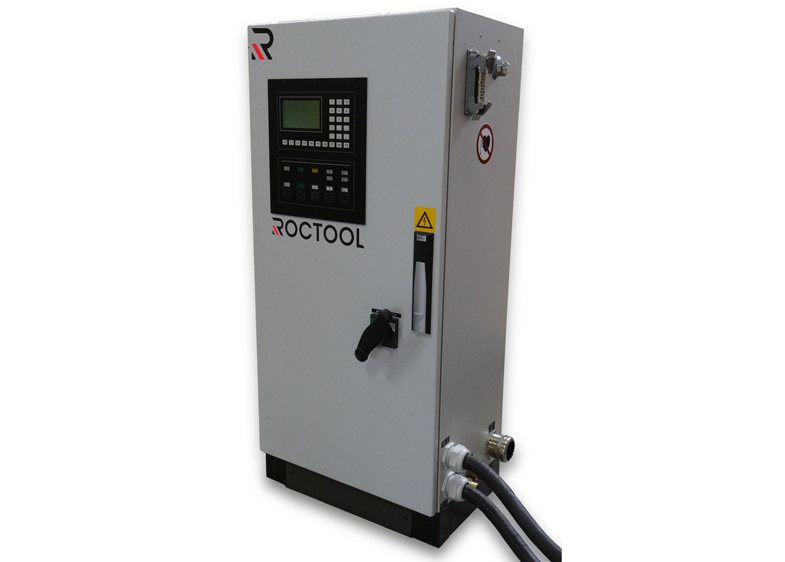 Roctool technology saves you significant energy costs. 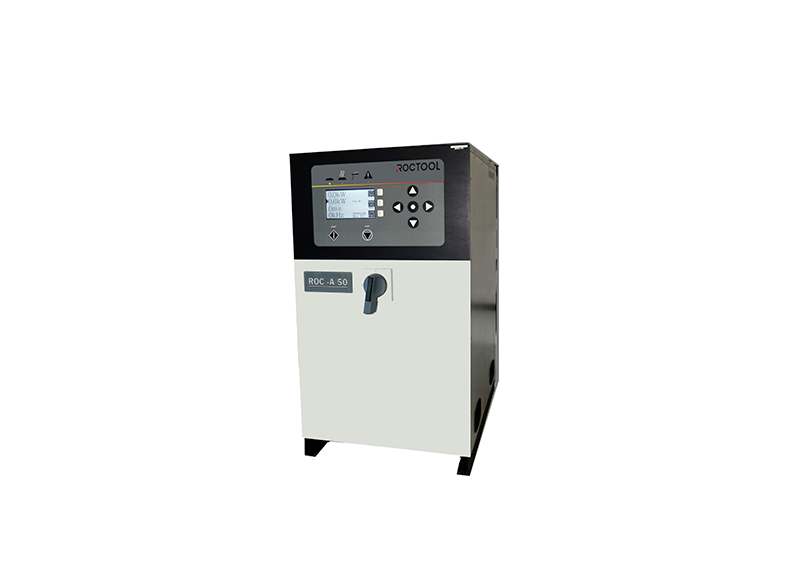 ROC-A 50 uses a special sensing technology enabling optimum control of your process; precise frequency registration under varying load conditions results in increased precision in heat control. The design of these generators saves valuable floor space and simplifys in-line integration. Their steel cabinet and shielded electric cables prevent from electromagnetical disturbance for nearest equipment. The double zone version features two independent power outputs that can operate simultaneously under identical or different parameters. 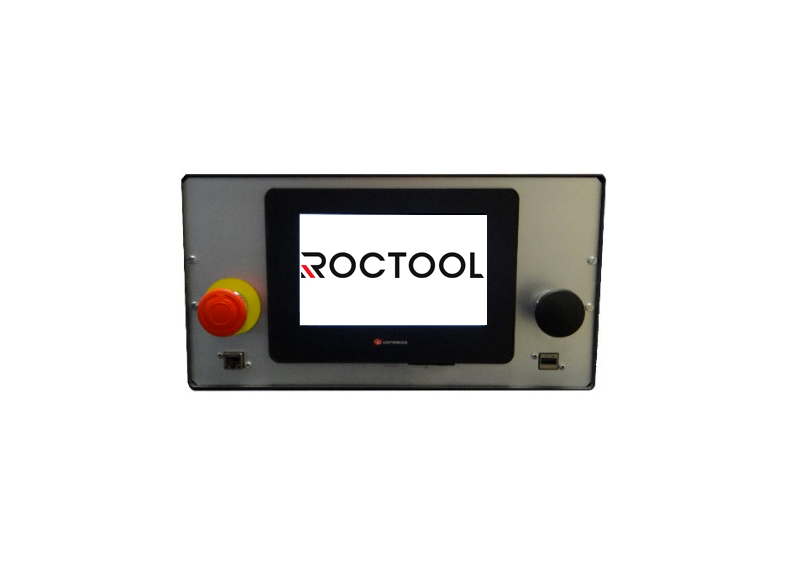 The aim of the interface is to pilot the Roctool process and is the link between the press machine, generator and other items such as a thermo-regulator (cooling unit). 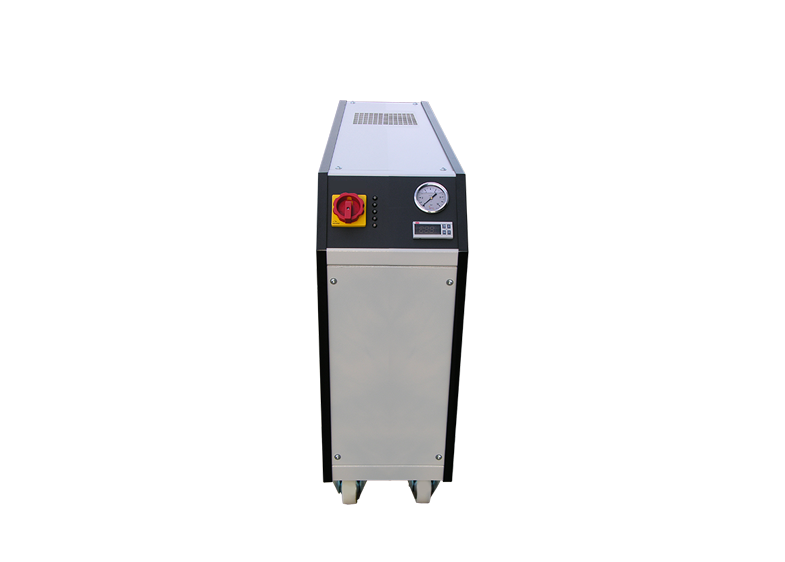 The controller can be fixed directly onto the machine or attached to the included pedestal. The cables from the controller to the generator and press are included in the package. Ultra compact hydraulic module adapted for cooling ROC series through two closed water loops. 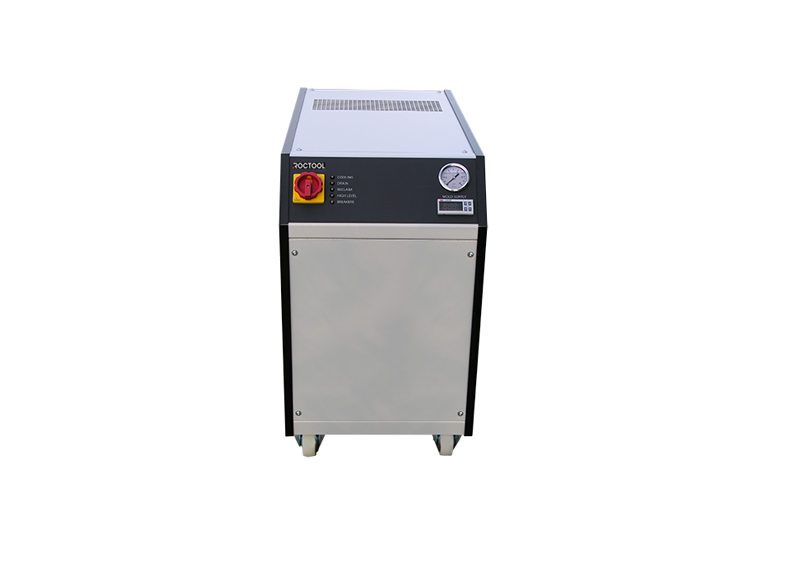 Customized for heat and cool processes through mold cooling and purging solutions. Implement general switch, high water level security, real time indicators and signaling lamp. This temperature controller is particulary intended for applications requiring high flow rate and fast cooling. It has been designed to maintain the water process at a constant temperature from 20°C to 90°C (closed loop).